As a co-ed, professional organization, we offer you more than social fraternities can. As a fraternity, we offer you more than honor and technical societies can. We are one of the strongest chapters nationally. We have a strict policy against hazing. We offer balanced events: lifetime brotherhood, professionalism, and philanthropy. True brotherhood that lasts long after you get your diploma. Professional career contacts and networking. Rush is a two week period at the beginning of the Fall and Spring semesters. It is an opportunity for interested students to meet and talk with brothers of the fraternity. 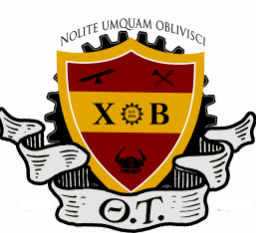 It is a no obligation way to see who we are and what exactly Theta Tau does at the University of Toledo. It is FREE to all interested students. Rush is your chance to meet members of Theta Tau and see how our organization will help you. It is our chance to put our best foot forward and show what Theta Tau is about. It is normally held the second and third week of Spring and Fall semester. It offers free food, information, and fun! There are no obligations and all events are FREE! Pledging is your chance to determine if the fraternity is the best fit for you. It is a semester long process where you will be encouraged to meet all of the members, will learn the history and general information of the chapter and fraternity and see how our organization will help you. You’ll take part in open meetings, committee events and see what exactly we do as a campus organization. You more or less shadow what being a brother is like. You’ll be paired up with your big brother who will show you the ropes and help you learn about the fraternity and meet other members. You are expected to attend an informational pledge meeting once a week. This is where you learn about our chapter and the national fraternity. Social events are held throughout the week, you are highly encouraged to attend, but we understand the schedules of college life. There is a $40 pledge fee, this goes towards supplies during your pledge period and filing your name with nationals. There are no obligations to become a member during pledging. “What about dues?” is a common and fair question. All organizations have dues, but you shouldn’t let them scare you from making the most of your college experience. Our dues are extremely inexpensive compared to any social fraternity on campus. Also, among all the chapters of Theta Tau, our dues are lowest!